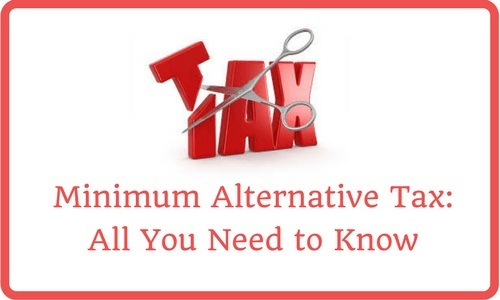 MAT stands for Minimum Alternative Tax was introduced for companies, which is a prevention mechanism for tax evasion implemented by Income Tax department. Normally, a company is liable to pay tax on the income computed in accordance with the provision of the Income Tax act, but by talking the advantage of various provisions of Income tax law (like exemption, depreciation, deductions, etc.). It may have reduced its tax liability or may not have paid any tax at all. These companies are known as ZERO TAX COMPANIES. Due to increase in the number of zero tax paying companies, Mat was introduced by the Finance Act, 1987 with effect from the year 1988-89, but it was withdrawn by the Finance Act 1990 and reintroduced with a few changes, imposing Minimum Alternative Tax (MAT) under section 115 JA with effect from A.Y 1997-98. The objective of introduction of Minimum Alternative Tax is to bring the ‘ZERO TAX COMPANIES’, which have earned substantial book profits and having paid dividends, but do not pay any tax due to various tax concessions and incentives which are provided under the Income Tax Law. In order to bring such zero tax companies under the income tax act net, MAT was introduced. Government formed a panel to resolve tax dispute with foreign investors. In May 2015, finance Ministry Arun Jaitley has appointed 3-member committee on the issue of levying MAT by FIIs. Justice A P Shah heads the committee and other members are Dr. Girish Ahuja and Dr. Ashok Lahiri. The government also declared that MAT would not be applicable on foreign companies earning from capital gains on securities, royalty, fee on technical service and interests, which is a big relief to FIIs. Keeping in mind the long-term objective of FDI (foreign Direct Investment) the Government relaxed the MAT levy norms on foreign entities.